Huston Smith: Wisdomkeeper: Living the World's Religions: The Authorized Biography of a 21st Century Spiritual Giant, Waiting for God, The Iliad or the Poem of Force, First and Last Notebooks, Oppression and Liberty . 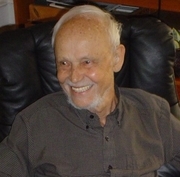 . .
Huston Smith is currently considered a "single author." If one or more works are by a distinct, homonymous authors, go ahead and split the author. Huston Smith is composed of 4 names. You can examine and separate out names.